Many parents in America today understand they have a need for life insurance, they just have yet to buy a policy. If you know you need coverage to protect your family, but you haven’t made the purchase yet, you’re not alone. If you have a family who relies on you to support them, life insurance can provide your loved ones with the financial security to protect their future should you die. Most people living in America believe in a need for life insurance protection. A Gap in life insurance coverage exists between the amount of life insurance Americans own and their financial need for coverage. Understanding a need for life insurance, and taking action to purchase coverage are two entirely different things. No one enjoys the thought of dying, but planning for your family’s future is one of the most important things you can do to show them you care, and protect their future. Many people procrastinate when it comes to life insurance, putting off the purchase of a policy for one reason or another. However, getting life insurance is probably a lot more affordable than you might expect, and you’ll get peace of mind knowing your family’s future is secure once you are insured. Do Your Parents Need Life Insurance? If so, you may be wondering if you can buy life insurance on your parents. The answer is: YES, you can insure your parents for life insurance. Permission – Your Parents need to be aware you are buying life insurance on them, and give you their consent to do so. Insurable Interest – Ability to demonstrate a financial loss should a parent pass away. Adult children have an insurable interest in their parents. Ownership of Policy – Decide who will be the owner of the life insurance policy on your parent(s). Beneficiary – Designate who will receive the death benefit should the policy pay out a claim. Amount of Insurance – The right amount of overage to financially protect the beneficiary from loss when the parent dies. Payor of Premiums – Agree on who will pay the premiums on your parent’s policy. 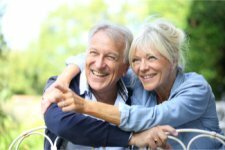 Type of Life Insurance Coverage – Purchase the type of life insurance policy that fits your needs for insuring the life of your parent(s). In order to purchase life insurance on your parent(s), or on anyone other than yourself, you must have permission from the person you wish to insure. It’s always necessary for your parent(s) to agree to the life insurance coverage. NOTE: One Exception to this Rule – Parents can buy life insurance on their minor children without permission from the children. Every state in the U.S. has insurable interest laws to protect the integrity of life insurance policies, so people don’t go around insuring just anyone, who may be near death, just so they can make a windfall profit. Usually only blood relatives, or legal guardians, or those with a financial interest in the survival of the person to be insured, can buy life insurance on the person. Example: Your dad is 68 and lives off his income from a small pension and social security. He provides full-time childcare for your kids. He doesn’t have a large amount of debt, but has not saved up enough money to pay for any burial and funeral expenses, or future medical bills. Purchasing a life insurance policy (around $75,000) would make sense and demonstrate an insurable interest, since you would have to pay for daycare for your children should your father die. NOTE: If you get a life insurance policy on someone else (your parent), you need to have a financial interest in them surviving. Likewise, a financial burden would occur if they were to die; such as, having to pay for their burial and funeral costs. Insurance companies require you purchase an appropriate amount of coverage for your parent’s situation. However, many people choose to purchase coverage on their elderly parents just to cover the cost of final expenses, which averages around $8,500 according to a study on behalf of the National Funeral Director’s Association. The person (or sometimes entity) that hold the rights to the life insurance contract. NOTE: Ownership of a policy may change, but the person insured by the policy may not change. If the owner of the policy is also the insured, life insurance companies will not ask any questions. If you are merely assisting your parents in getting coverage, and they will own and make payments for the policy themselves, this would not present any problem. However, if you will be the owner of your parent’s policy, insurance carriers will require you to provide proof of insurable interest. Ownership of the insurance policy is straightforward if it will be owned and paid for by the insured: Your Parent(s). If you will be the owner of your parent’s insurance policy, it’s important that it’s properly setup to protect you financially and insurable interest is established. However, insurable interest does exist between parents and their adult children, so you can purchase coverage on them and be the owner of the policy. The payor of an insurance policy is the person who will pay the premiums. The payor owns the insurance contract (policy owner) and is often the insured of the life insurance. However, that’s not always the case. If you’re buying insurance for your parent, you pay the premiums, and your parent is the insured. NOTE: The individual or entity making the premium payments is the payor. The payor is considered the owner of the contract. A life insurance policy is a written contract between the insurance company and the owner of the policy. The beneficiary is the person(s), organization, school, church, or business receiving the death benefit proceeds from the insurance policy. Beneficiaries are usually family members who would experience a financial burden upon the death of the insured person(s). Your parent could name just about anyone as beneficiary, including their dog, if they chose to. Who Does Your Parent Want to Provide Financial Assistance To? Would a Person or a Trust Make More Sense as Beneficiary of the Policy? Does Parent’s Will Match Up with the Life Insurance Policy Benefits? What are the Beneficiaries’ Circumstances and Would They Benefit from the Proceeds of Your Life Insurance Policy? Is There a Contingent Beneficiary Named, In Case the Primary Beneficiary is No Longer Alive When Your Parent Passes Away? Are Any of the Beneficiaries Minors? Is so, you may want to consider a trust. NOTE: Carefully choosing the right beneficiary prevents future policy headaches; such as, legal or tax issues. Life insurance comes in several different types of plans and amounts of coverage. Guaranteed Acceptance – Life insurance to provide a limited amount of coverage for people who may not be able to qualify for other insurance plans. Maximum amount of coverage is typically $25,000. Approval is guaranteed if the insured meets the age requirements. Age requirements may vary by insurer: 45-75, 40-80, or 45-85. NOTE: Purchasing life insurance for a parent is common and provides financial peace of mind for the family. If your parents agree to the policy, it’s legal and can be a smart investment in your family’s future. No Medical Exam – No-exam life insurance is issued without the applicant having to take any medical examination. Premium rates are often competitive with traditional fully-underwritten life insurance plans for healthy individuals. Policy face amounts available: $25,000 to over $250,000. Some insurers have age limits or require an exam due to the applicant’s current age or health status. However, coverage may be offered up to age 80. Term Life Insurance – Fully-underwritten, temporary life insurance protection. Life insurance offered for a specific period of time, typically for a term of 10, 15, 20 or 30 years. Premium rates are affordable compared to permanent life insurance policies. Face amounts of coverage may vary from $25,000 to over $500,000. Permanent Life Insurance – Also known as Whole life insurance. Benefits do not expire, coverage is guaranteed for your entire lifetime, as long as you pay your premiums on time. Can be purchased with or without a medical examination. Face amounts of coverage are available from $10,000 to over $100,000. Accumulates cash value inside the policy over time, from which a loan may be taken. Premium rates are much more expensive than Term Life. Final Expense – Life insurance purchased to cover end of life expenses. Considered a permanent insurance plan and benefits will not expire. Maximum coverage amounts usually reach $25,000 to $50,000. No paramedical exam and approval can be instant, after completing a health questionnaire online. Often used to cover end of life expenses, including funeral and burial costs, and final hospital bills. Life insurance is a written contract between the insurance company and the owner of the policy. The owner agrees to pay premiums on a regular basis to the insurer, and in return, the insurance carrier agrees to pay out a death benefit to the beneficiary of the policy, upon the death of the insured person, subject to the terms, conditions and exclusions stated in the life insurance contract. Owner – the person (or sometimes entity) that holds all the rights to the insurance policy. The owner of an insurance plan can make changes to the policy. Owners are responsible for the purchase of the insurance policy. Insured – the person whose life is insured by the policy. Usually, the owner and the insured are the same person. If the owner is not the insured, life insurance companies will ask for you to demonstrate an insurable interest in the person you wish to insure. Insurable interest does exist between adult children and their parents. Beneficiary – the person(s) who will receive the death benefit insurance proceeds from the policy upon the death of the insured person. In the case of your parent, the beneficiary is often the adult child (or adult children) of the parent, or possibly their grandchildren. Insurer – the insurance company providing the life insurance contract. NOTE: It’s important that the policy is set up right. There is the possibility of falling into a tax trap if your parent’s life insurance policy is not structured properly. Life insurance proceeds are usually free from federal income tax, except when the owner, insured and beneficiary are three different people. This is known as the Goodman Triangle. If the owner, insured, and beneficiary are all different people, the owner of the life insurance policy can be taxed on the insurance proceeds to the beneficiary. A daughter owns a life insurance policy on her father. The daughter’s son is named as the beneficiary. For tax purposes, the policy proceeds are viewed as a gift to her son and would be taxed accordingly. The daughter would be taxed on the "gift" she provided her son. How to Avoid the Goodman Triangle? Usually, it can be avoided by having two "points of the triangle" be the same person. In the example above, if the daughter’s father was both the owner and the insured of life insurance policy, there would no Goodman Triangle. NOTE: Use caution when setting up your policy and understand how to avoid the Goodman Triangle. Don’t have the owner, insured and beneficiary be three different people. Are You a Parent in Need of Life Insurance? If you have children of your own you may be in need of a life insurance policy as a parent, to provide financial security for the future of your own children. No matter which of the above best describes your life right now, life insurance is definitely in your future, as you have a very definite need to protect your loved ones, and those to come. Whether you’re on a tight budget, or just need the maximum amount of protection to fit your budget, term life insurance can provide you with the coverage to fit your personal needs. With term life, you can choose life insurance to last for a period of 10, 15, 20, 25 or 30 years – so your little ones are covered until they are on their own, and out of the nest. Term insurance provides you with temporary protection lasting for up to 30 years. It’s the cheapest life insurance because it lasts for a temporary period of time, and you may outlive your policy. Also, it is pure protection, which means you get life insurance, with no cash value building up inside your policy. It’s pure protection. If you die during the term of your coverage, your beneficiary would receive the death benefit payout from your life insurance. If you outlive your term life policy, your coverage ends, and there is no payout. That’s why term life costs up to 5 times less than permanent life insurance. JRC Insurance Group helps you shop, compare and save on term life insurance. Regardless of your age or health background, we'll shop our 40+ insurance companies and find you affordable life insurance you need to protect your family and fit your budget. Compare the best life insurance rates for savings up to 73%. Get Your FREE Quote. Do You Need Life Insurance on Your Parents? If you need insurance to cover the final expenses for your parents, including burial and funeral costs, there are plans available that guaranteed approval for your parents. Many adult children purchase a policy on their elderly parents to make sure there is money available to pay for a nice funeral and burial, because maybe their folks don’t have enough money saved up to pay for their own final expenses. It’s understandable, with so many seniors on a fixed budget these days, and the cost of everyday needs going up each year, while the value of the dollar declines – we want to make sure our parents have a nice funeral, even if they can’t afford it themselves. We owe it to them. And now there are policies available to provide you with the life insurance on your parents that they need, even if they have pre-existing health conditions – they can get insured. It’s called "Guaranteed Issue" life insurance and it guarantees approval for anyone who meets the age requirement, lives in a state where the insurer is licensed to do business and offers the plan. For example, United of Omaha offers up to $25,000 of guaranteed life insurance for people ages 45 to 85, in all states except New York, Montana and Connecticut. Who Can I Insure for Life Insurance?